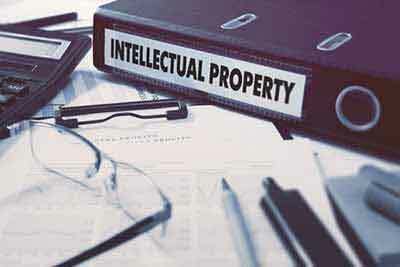 Intellectual property (IP) laws allow individuals and businesses to lay legal claim to the goods, services and ideas that they offer, and are very important for branding and successes in the marketplace. However, IP laws are also extremely complex, which is why many businesses, lawyers and law firms rely on intellectual property paralegals for assistance. Whether working for a company or a law firm, an intellectual property lawyer will navigate the complex legal system related to items like trademarks and patents, and may even be involved in litigation. Before you can become an intellectual property paralegal, however, it’s important you understand the work involved in this career and its entry requirements. The biggest advantage in seeking a career as an intellectual property paralegal is the multiple opportunities for employment. Paralegals that enter into this field can be employed by large corporations, law offices and even the government. In addition to increased job access, intellectual property paralegals are also responsible for many exciting legal tasks. If you choose to work as an intellectual property paralegal, you will be tasked with such legal responsibilities as assisting clients with trademark and service applications, filing patent documents and applying for copyrights for various types of intellectual property. You will also need to routinely perform intellectual property research and assist supervising lawyers with intellectual property litigation after your client’s IP has been infringed upon. The primary method for being hired as an intellectual property paralegal is to complete a paralegal studies program. Thanks to the complexity of IP laws, most law firms and corporations will prefer paralegals who have completed associate’s or bachelor’s level paralegal studies degrees instead of certificate programs. No matter the degree you choose, you should attend an American Bar Association (ABA) approved program that offers coursework focused on IP law. In addition to a paralegal education, aspiring intellectual property paralegals should focus on cultivating the right skills set. A few of the characteristics of successful intellectual property paralegals include marketing ability, management acumen and the ability to perform exhaustive research. You should also be proficient using a computer, as many IP registration systems are now commonly accessed online. An important step in entering any career is learning about your potential salary and employment prospects, which can be done by examining the information provided by the Bureau of Labor Statistics (BLS). Data made available by the BLS in 2015 shows that the median salary for paralegals across the country is $48,810. The same report projects that the paralegal profession will grow by 8%. This growth will take place between 2014 and 2024. Your specific salary will be largely determined by your state and the paralegal profession that you have chosen to specialize in. If you become an intellectual property paralegal, you will be assisting corporations, artists and paralegals protect their rights to their property. If you have the requisite skills and are interested in a challenge legal career, working as an intellectual property paralegal is the ideal choice for you.